After the last presentation by Matt Mullenweg where he said that all WP devs from now on need to learn JS, Zac is one of the first ones who’s ready to teach you how to benefit from this WP/JS interaction. Matthew Cain: Many of us know you as the WordPress teacher at Team Treehouse. How did the work at Treehouse affected your views on teaching and learning? What teaching workflow should we expect here? Zac Gordon: I learned a lot at Treehouse about teaching on scale. When you have thousands of students and cannot personally assess or interact with all of them, it’s a different scenario than teaching in a one on one environment. I definitely dug deeper into data driven education while at Treehouse. I also produced a lot of content on a regular basis, often two courses or so per month. This gave me a really good chance to refine my curriculum development process and speed up in general the time it takes for me to research, prepare, and produce courses. I also like the personality at Treehouse, especially with things like the bonus content we used to do. I plan to keep the smiles and enthusiasm I had in the Treehouse videos and hopefully add in some fun outtakes and bonus content here and there. A lot of Treehouse students really love the badges, points and overall gamification of learning that takes place on the site. I’ll have a little of this in the JS for WP master course, as well as some completion certificates and profile pages that I think people will really like. Matthew Cain: Who would benefit the most from your course? What prior knowledge should the person have? Matthew Cain: Are you going to be the only instructor in this course, or are you planning to collaborate with someone else? Zac Gordon: I will be the primary instructor for the course. I will hire one or two people to help with editing content and possibly writing supplemental articles, as well as one or two people to help with support, but I’ll be teaching everything myself. Matthew Cain: You have a lot of teaching experience in the WordPress field. What in your opinion are the biggest challenges that people face when learning WordPress? How do you help your students to overcome them? Zac Gordon: One of the biggest road blocks people have is knowing how to setup a theme properly, for example, to look on their own site how it looks in the demo can be a little tricky for people. From there, learning what is and what is not possible to Customize in a theme without knowing how to code is a really hard thing to know. If you haven’t setup a dozen different themes before, it can be hard to figure out how to setup your first one. Usually, just hearing that this is a common stumbling block for lots of people makes folks feel better. However, teaching this is really tricky. I gave a WordCamp talk called The Niche Art of Setting Up Theme about my efforts to try to teach this at Treehouse. Actually the last course I worked on while at Treehouse was trying to teach this. My approach was to teach how to setup and customize 5-10 popular types of themes in order to get a hang of what is common and possible. After that, the next big step is going from being a power user and not knowing much more than a little CSS and wanting to build and customize themes at a deeper level. Luckily, this is a little bit easier to teach and just involves taking the time to understand some basic PHP, the template hierarchy, hooks, etc. The WordPress Development Track at Treehouse did a pretty good job covering this I think, and there are tons of other resources teaching this same thing as well. Matthew Cain: Many of our readers are people who are only starting their web design and web development careers. In your experience, how much time would it take for a complete beginner to learn WordPress in order to make a living from it? Zac Gordon: You can learn WordPress well enough to make a living very quickly. You do not not need to know how to code to run a WordPress business. If you know how to install plugins and themes and do some simple customizations, this is enough to charge hundreds or thousands of dollars for. You can learn this in 1-3 months of learning and playing around. To become a WordPress Developer is going to take a little bit longer since there is more to learn and coding is involved, but I’ve had a number of students who have gone from beginner to employed in 6 months or under a year. Really, it’s probably more about the soft skills of knowing how to get hired or run a business that are going to be harder than learning WordPress itself. Matthew Cain: The WP REST API is probably the most exciting feature since the introduction of custom post types in WordPress. How long in your opinion would it take to see the RESTful applications become mainstream? Zac Gordon: I think in 2016 we are going to see more people playing around with it and experimenting. I’m thinking it will probably be 2017-2018 before we really see stable platforms and a lot of success rolling out RESTful apps. You have to remember that for a lot of WordPress sites, building a full REST based app is in no way the right solution. So, we will still see WP being used out of the box for some time to come. The funny thing there is that as WordPress itself begins to rely more on Core we will see WP itself before a more RESTful app. That said, more and more plugins and themes will begin shifting in the next year or two to build their plugins around the API and use the API to make content from their plugins more available to others developing RESTfully. Zac Gordon: I think the types of themes that are popular now will continue to be for the time to come. 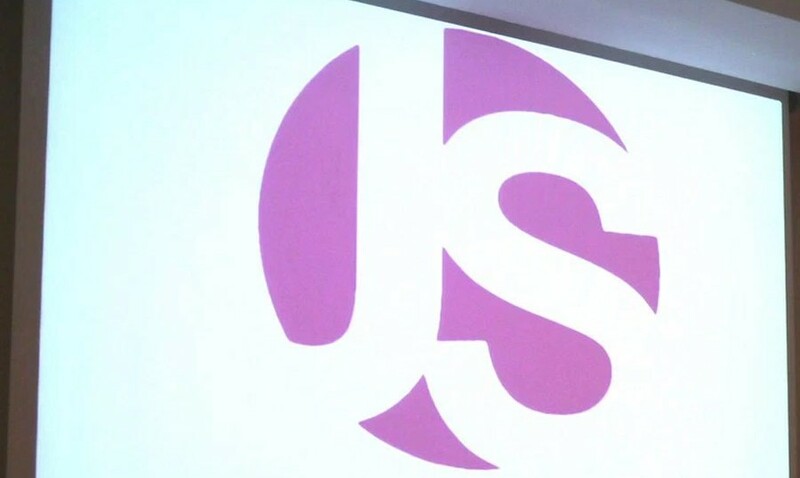 More developers are going to build JS driven WP themes and I’m a little nervous about the short term landscape of this because we will likely see JS themes all over the place in terms of quality and approach. It might be a little time before we really see strong standards developed and adopted around JS driven themes. In terms of multipurpose v. niche themes, I think that they both really have their place. As someone who ran a business building WordPress sites using premium themes, I love the options that are out there and available to people. Matthew Cain: If somebody would like to get involved with your project, and help you to make it more awesome, what should they do?